Watches do not only keep time but also add a strong fashion statement. Based upon your preference, buying a new watch can be an easy task or can take hours. There are so many things to keep in mind while buying a new watch, right from features, style, design & the price tag. However, there are more skills involved in buying elite watches online. Read on to our guide that will help you buy watches online and still end up satisfied. First and most important thing is to make a budget before buying a watch online. There are so many options available online and it is more than likely that you’ll be attracted to several of these but restricting yourself to your budget will help you stay focused and reduce the tedious searching. Luckily, many websites helps you refine your search as per your budget so use that option. Casual Watches: Easy-to-read round watch face with lightweight band for everyday use. Formal Watches: Distinctive watch case, accents and metal bracelet complimentary for formal occasions. Sport Watches: Large, durable case and plastic or rubber band with features for sporting activities. Do you only want a watch to tell you time or are you looking for other features to make your watch more useful? Most of the websites list the features in the product specifications. And if you like more than one watch that meet your requirements, there’s also an option to compare them side by side. Here are some of the popular features you can look out for when searching for a watch online. Calendars: Watches can not only tell you time but can also help you with the present day, date and the year. Chronograph: Popular stopwatch feature used for timing specific events. World Time: Displays the time across several world time zones. Waterproof: Watches that are water-resistant up to 30 meters are splash-proof. Another aspect you can keep in mind while buying your watch online. 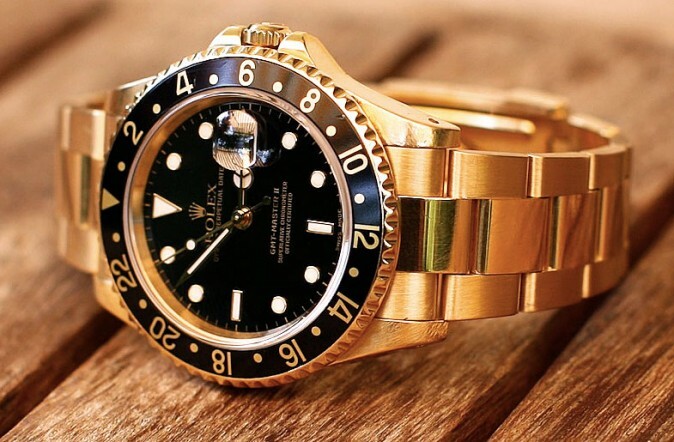 The brand of the watch greatly affects its price range. We have listed some of the popular entry-level and high-end luxury brands for you to choose from. By now you must have decided on the watch that meets all your requirements. The last step is to do an online research to see what others have to say about the watch you have selected. Reading the experience of other watch owners can really help you settle with your decision. Don’t allow a negative review to change your opinion about the watch you’ve selected as it may not have been the right option for that reviewer. Check a few pro’s and con’s before making your final decision.